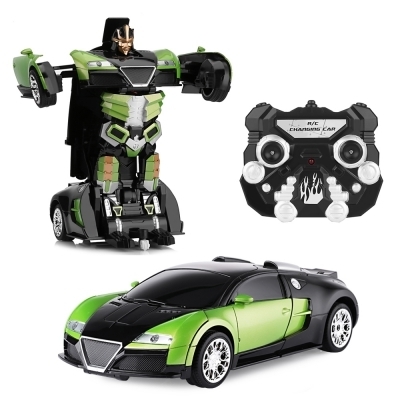 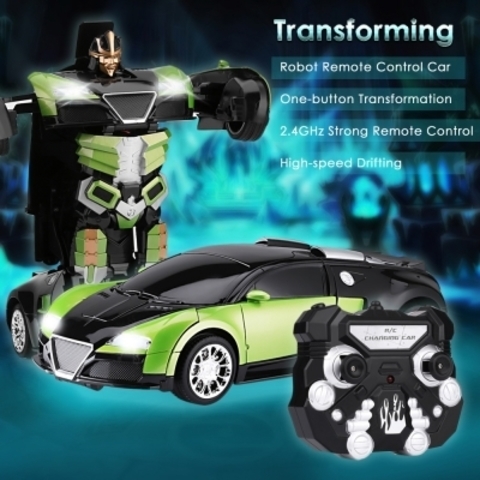 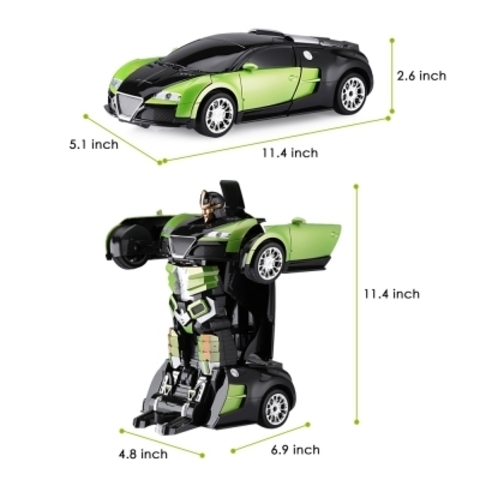 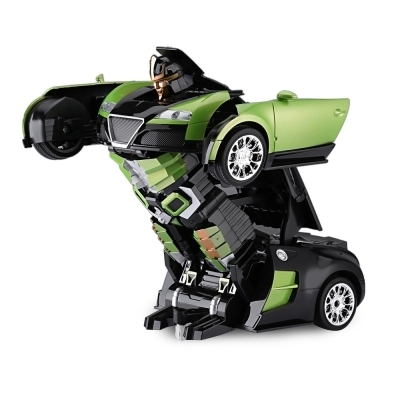 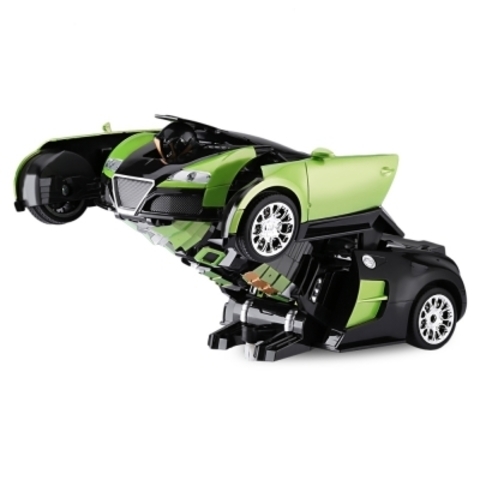 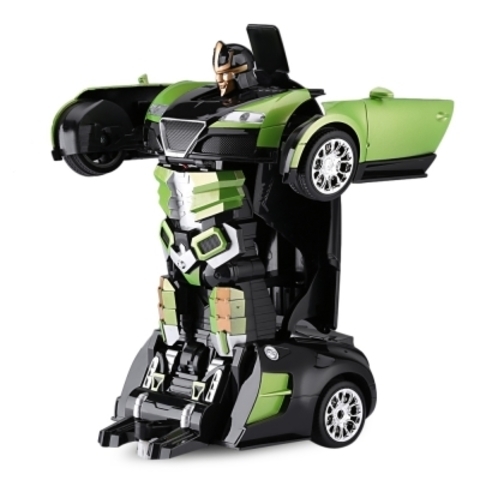 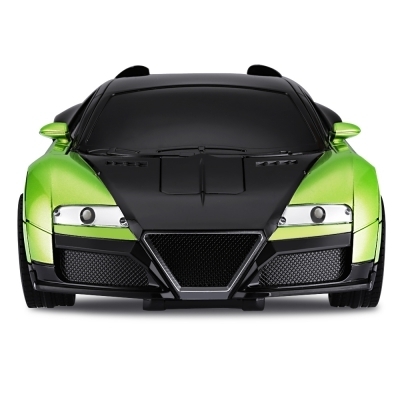 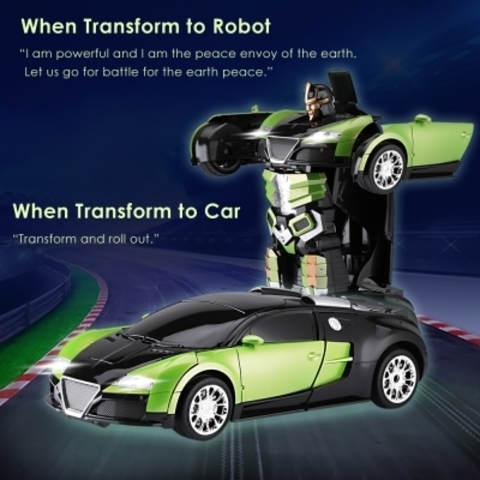 This toy transforms automatically from car to robot when you press the button on the remote control. 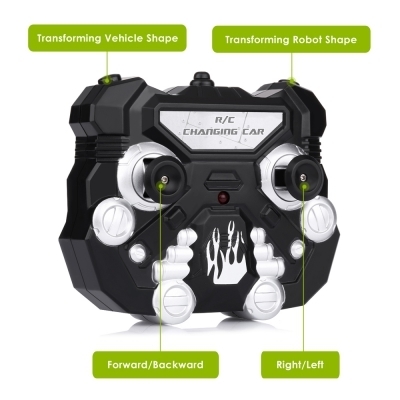 It can change back and forth freely, rather amazing. 2.4GHz transmission technology, remote control distance up to 40m, easy to control, provides your kids with the great and wonderful playing feeling. 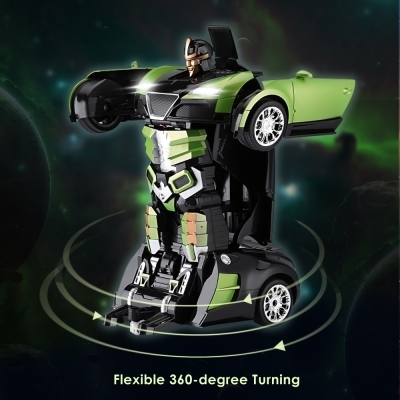 It will appear dynamic sound and dazzling light when you control this toy to turn left/right and play forward/backward, more interesting and realistic. 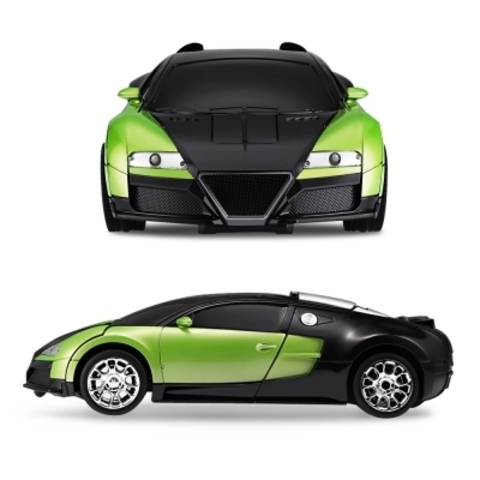 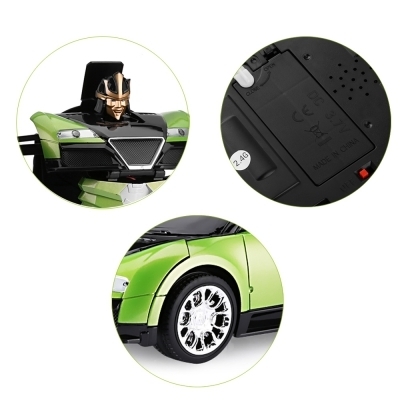 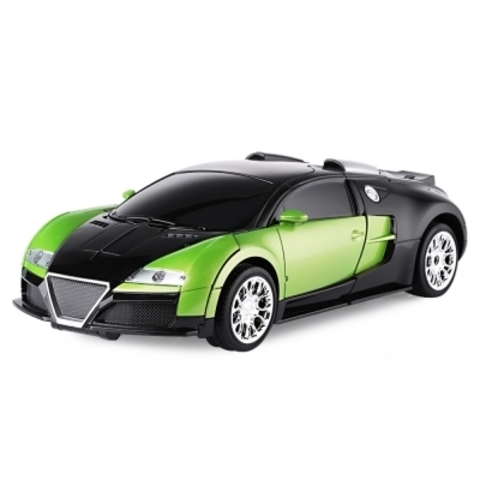 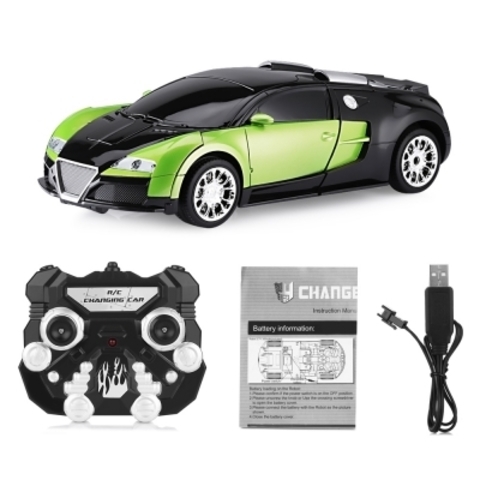 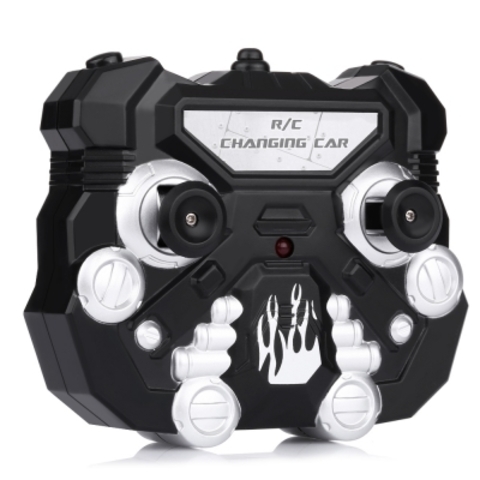 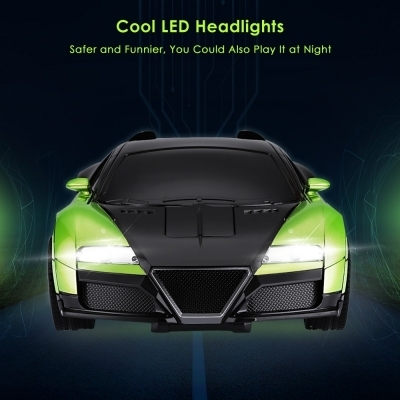 There is a 3.7V/350mAh Li-ion battery inside this transformation car toy, thus you can recharge your toy again and again for unlimited use. 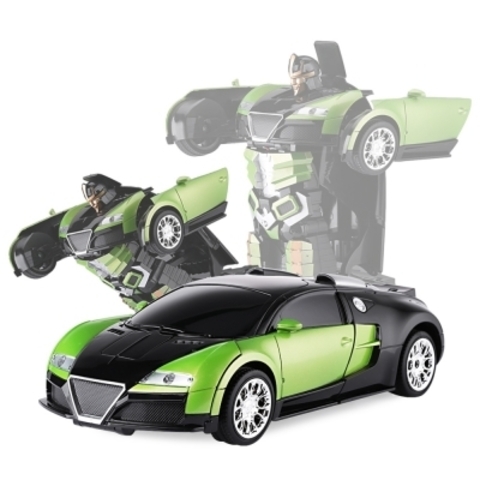 High-quality rubber tyres provide solid grip and wear-resistant, and the chassis is solid to make this car toy more flexible in the performance and transformation.